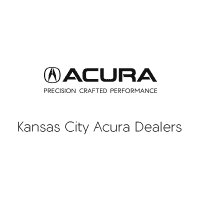 Welcome to The Greater Kansas City Acura Dealers, your greater area’s premier Acura dealership where we go the extra mile for everyone we work with. We look forward to working hard serving the Leawood, Raytown, Shawnee, Lenexa, and Independence area. If you are looking for a massive new car inventory (including the new ILX, TLX, RDX, MDX), competitive pricing, friendly service, and a friendly no-pressure environment then we’ll be your go-to Acura dealerships in Kansas City, Wichita and Overland Park.